But it goes beyond their classroom at UC Santa Barbara’s Orfalea Family Children’s Center in Isla Vista. 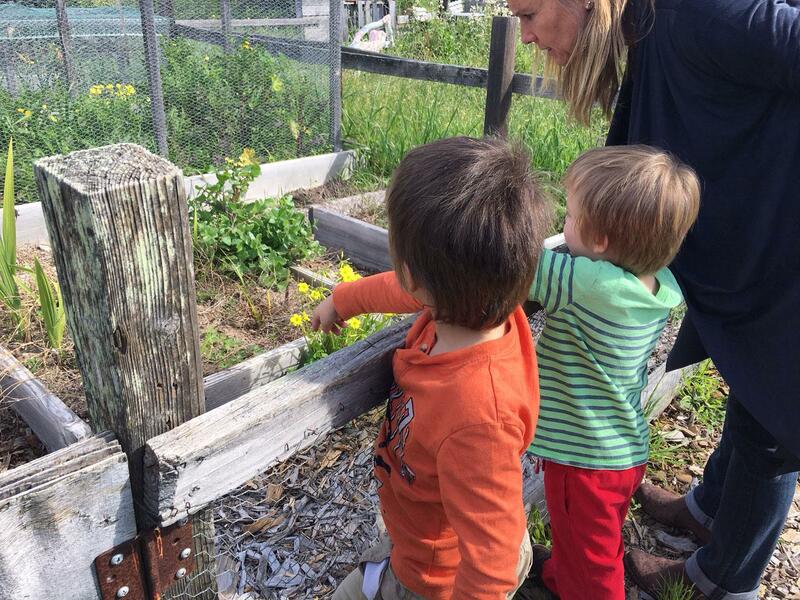 These very young students are on a field trip to UCSB’s greenhouse and garden. Four-year-old Thomas Busselen waves to bees buzzing around as I ask him about their role in the ecosystem. "What do bees do?" I asked. "Make Honey," he said. "What else do they do?" I asked. "They fly around trying to find flowers," Busselen replied. He and 18 other preschoolers are on a garden scavenger hunt. Tamara Thompson, Preschool Program Coordinator, leads a team of kids on a search for a vegetable, a seed, a snail and other things living in the garden. “They’re just learning so much just by experience and hands-on,” she said. Three-year-old Evie Gurven finds something blooming in a tree. "Flowers," she said. "Flowers? What does that mean when you see flowers?" I asked. "Spring is coming up," Gurven said. 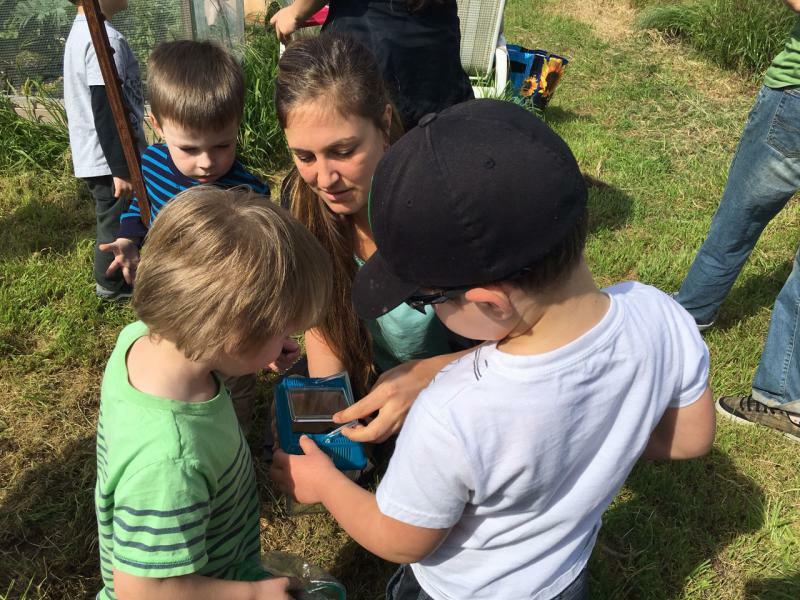 These little kids are learning about science, including biology, botany, ecology, chemistry and entomology. 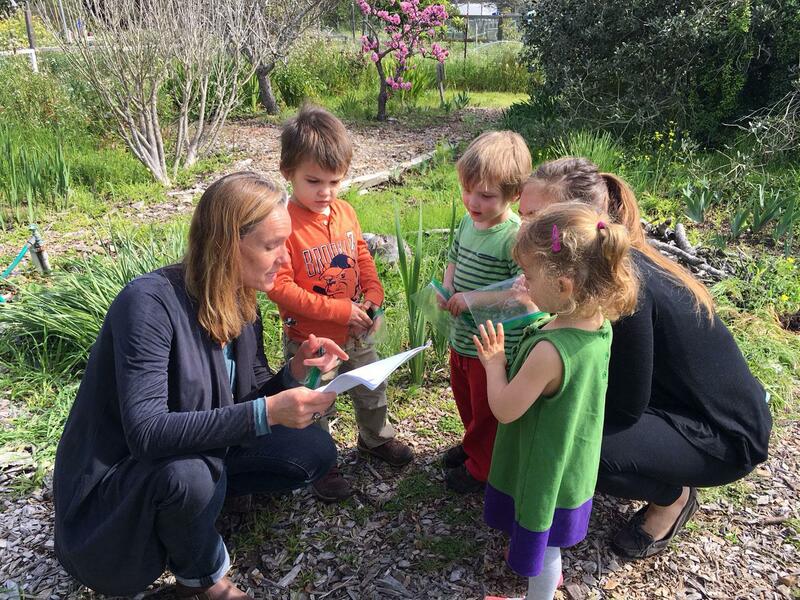 This garden-centered curriculum was developed by UCSB doctoral education student Jolie Colby. “We are hoping to increase food literacy here and to increase the children’s knowledge of sustainability and how to walk lighter on the earth,” she said. 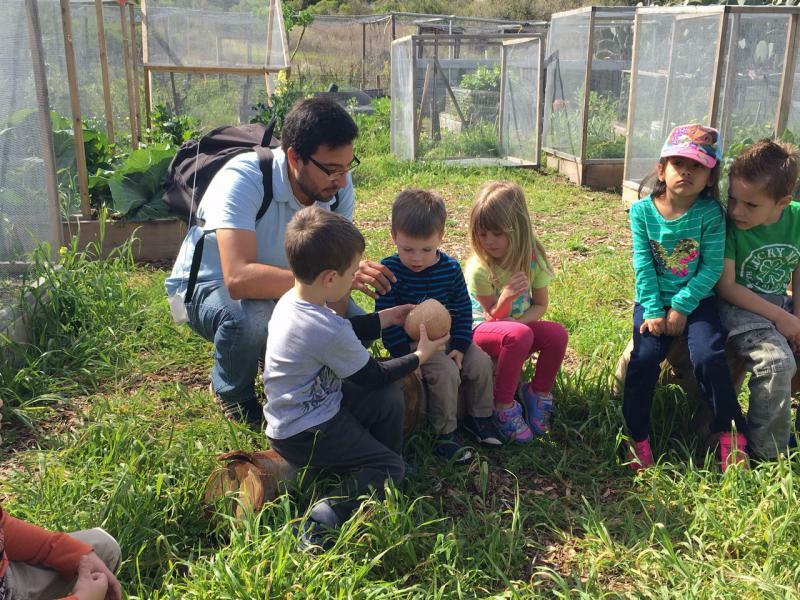 This program that’s taught to about 140 children runs through the academic year as part of a collaboration between the university’s Gevirtz Graduate School of Education, Early Childhood Care and Education Services and Edible Campus Project. Colby says it’s unusual to start environmental education so young. Colby introduces the children to Farmer Marli. Marli Heininger is an environmental studies major at UCSB. "That type of movement for seeds is called hydrochory. Hydro is a prefix that means water. Can you say that with me?” she asked the preschoolers. "Hydrochory," they responded. “I’m here to teach the kids all about seeds and how they grow and how they start small and get bigger and how that leads to the produce that we eat,” Heininger said. 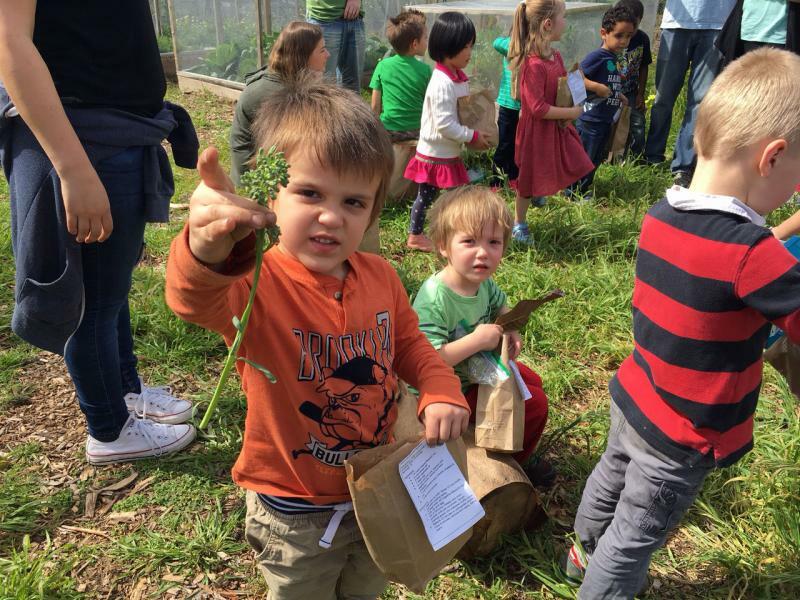 Four-year-old Christopher Busselen and his classmates harvest broccoli by picking the vegetable and placing it into their brown lunch bags to take home, along with a broccoli recipe. "Because I think it’s going to taste yummy," he replied. 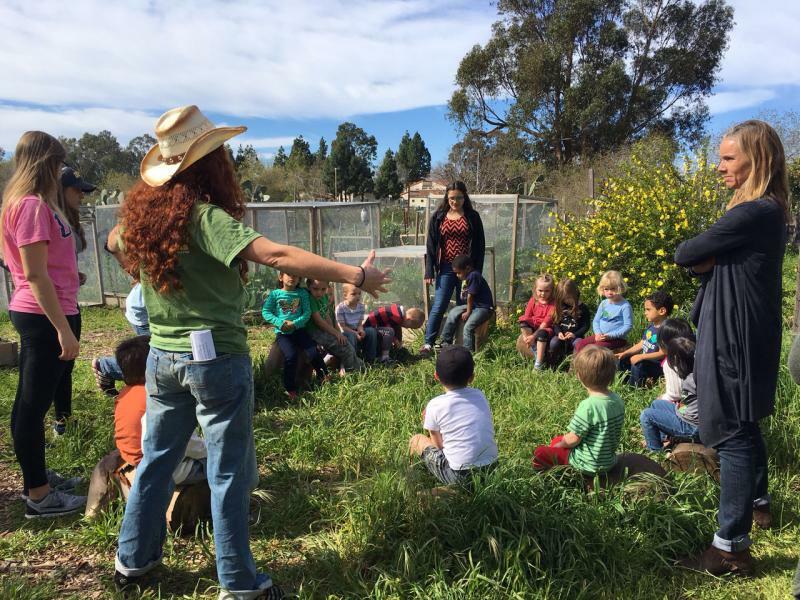 The hope is that these kids end the school year with a greater understanding of the relationship between nature and the food we eat.